A tsunami warning has been issued in Japan’s Fukushima Prefecture and Miyagi Prefecture after a 7.4 magnitude quake struck off Honshu at 5:59am local time. The US Geological Survey had a preliminary magnitude of 7.3 but then downgraded it to 6.9. It has been revised yet again to 7.4. As this is a breaking story, not much is known as this time, but Japan’s Meteorological Agency warns that a tsunami wave between three to ten feet (1-3 meters) is possible. Residents in the area are being told to evacuate to higher ground. 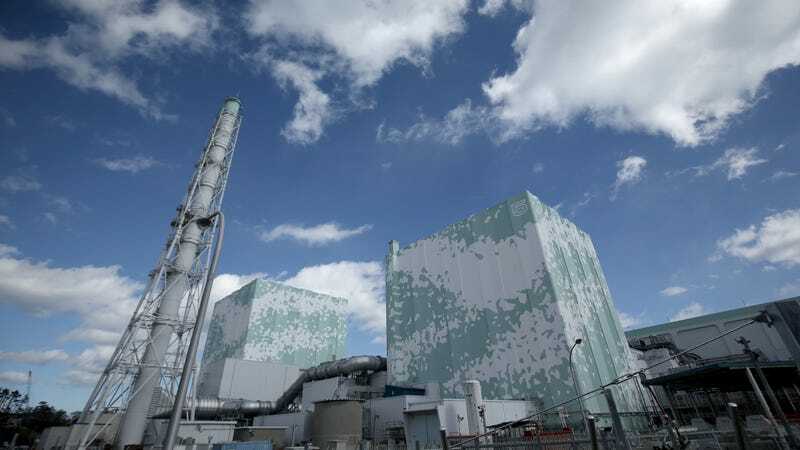 Meanwhile, Tohoku Electric said no abnormalities were found at its Onagawa nuclear power plant after the earthquake. Tepco is checking to see if Fukushima No. 1 and No. 2 nuclear power plants have been affected, both of which were shut down following the quake in 2011. Some minor injuries have been reported. Prefectures to the north and south of Fukushima are on a tsunami advisory. The quake struck off Japan’s east coast at a depth of 15.5 miles (25 km), and aftershocks are very possible. Troublingly, sightings of backwashes, or rip currents, have been observed along some beaches, including along sea walls in Fukushima prefecture (a possible indication of an incoming tsunami). A 24-inch (60 cm) tsumani was reportedly observed off Onahama Port, and a 35 inch (90 cm) tsunami was observed at Soma. Importantly, tsunami size can increase dramatically once it reaches shallow waters; at estimated height of 10 feet (3 meters), the incoming waters could wash away people and cause significant damage. At a press conference held at 7:40am local time, officials said there were no concerns of radiation leaks at the Fukushima No. 1 plant. According to NHK, cooling equipment for the spent nuclear fuel pool in reactor No. 3 of Fukushima No. 2 power plant has stopped, and there’s serious concern that the quake is responsible for the stoppage. The temperature is gradually and slowly rising. According to internal rules, the upper limit for temperature (in this spent nuclear pool tank) is 65 centigrade, and the spent fuel pool is currently at 28.7 degrees centigrade. So far, the cooling water has not leaked out. At the current rate of temperature increase, it will take a week to reach the upper safe limit of 65 C. No radioactive leakage has been reported. We will keep updating this post as more information comes in. A live feed via NHK World TV is available here.